You are browsing the archive for ghana. This report is part of the event report series on International Open Data Day 2019. On Saturday 2nd March, groups from around the world organised over 300 events to celebrate, promote and spread the use of open data. iWatch Africa and Lesotho Open Data Initiative received funding through the mini-grant scheme by the Foreign and Commonwealth Office of the United Kingdom, to organise events under the Equal Development theme. This is a joint report produced by Gideon Sarpong and Makhamisa Senekane: their biographies are included at the bottom of this post. It has been reposted from the iWatch Africa website. The major obstacle to the use of open data to reduce violence and discrimination against women and girls in Ghana is the reluctance of the Ministry of Gender and the Domestic Violence and Victims Support Unit (DOVVSU) to regularly publish relevant data on gender-based violence and discrimination, a frustration well expressed during the conference. As of March 2019, the Ministry had failed to make relevant data on violence and discrimination against women available to all Ghanaians. This is a contributing factor for iWatch Africa’s decision to deploy an interactive data explorer to fill in the huge hole created by the State. iWatch Africa marked the Open Data Day event in Accra by officially issuing a call for participation with specific emphasis on how new technologies and open data can reduce violence and discrimination against women and girls in Ghana. Gideon Sarpong, iWatch Africa’s Director of Policy and News, delivered a short speech on the main theme: the importance of Open Data in promoting gender equality in Ghana. Mr. Sarpong argued that,” data is critical to making informed policy decisions” when it comes to fighting gender based violence and discrimination” and called on the Ministry of Gender to help drive the conversation by publishing all relevant data. 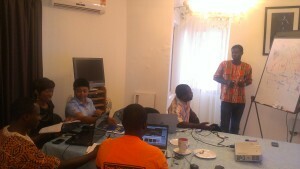 Mr. Sarpong also led a session to explore how an online interactive data explorer could help promote equal development. Mr. Sarpong demonstrated how the platform would visualize inputted data gathered by over 60 field volunteers currently working with iWatch Africa. The interactive platform, he argued will “explore the measurement and standardisation of all gender-based violence and discrimination cases using an online unified gauge with composite indicators. These indicators will include severity metrics and solution progress metrics.” Mr. Sarpong also added that, “the technology will provide a platform where citizens and global stakeholders can relate with gender based violence data in Ghana by humanizing the data through storytelling.” After a practical session of his presentation, participants held on open forum on how innovative tools can be adopted and deployed by session participants in promoting gender equality. Resolution by session participants to work towards empowering women and girls who are victims of violence and discrimination. Resolution by session participants to become ambassadors and drivers of accountability for gender discrimination and abuse of women and girls. Gideon Sarpong, iWatch Africa Gideon Sarpong is a media practitioner with over seven years experience in data, investigative and policy journalism. Gideon is currently the Policy and News Director at iWatch Africa. His major role includes developing news strategy for correspondents across Ghana, as well as designing project and policy focus for the organisation. He is an author with over eight publications; a fellow of the Young African Leaders Initiative (YALI), Thomson Reuters Foundation, Commonwealth Youth Program (DYLP) and Bloomberg Data for Health Program. Gideon holds a degree in economics from the University of Cape Coast and PgD in Policy Journalism and Media Studies from the University of Zambia. He is a firm believer in the use of data and technology for development in Africa. Makhamisa Senekane (PhD), Lesotho Open Data Initiative Makhamisa Senekane is a Lecturer in the Department of Physics and Electronics, National University of Lesotho. He has obtained his B.Eng in Electronics Engineering from the National University of Lesotho, his MSc.Eng in Electrical Engineering from the University of Cape Town, and his PhD in Physics from the University of KwaZulu-Natal. He is a lifetime member of Golden Key International Honour Society. He is a Data Science researcher who believes in the power of data in general and Open Data in particular to transform the lives of Africans through sustainable development. We have partnered with Hivos and NRGI to work on the following themes: Procurement and data in the extractives industry (oil, mining, gas). These amazing partner organisations will provide Fellows with guidance, mentorship and expertise in their respective domains. About diversity and inclusivity School of Data is committed to being inclusive in its recruitment practices. Inclusiveness means excluding no one because of race, age, religion, cultural appearance, sexual orientation, ethnicity or gender. We proactively seek to recruit individuals who differ from one another in these characteristics, in the belief that diversity enriches all that we do. Authors: Gideon Sarpong, iWatch Africa and Luis M. Vliches-Blazquez, Open Knowledge Colombia This report is part of the event report series on International Open Data Day 2018. On Saturday 3 March, groups from around the world organised over 400 events to celebrate, promote and spread the use of open data. Within the key area “Follow the money”, 17 events received additional support through the Open Knowledge International mini-grants scheme, funded by Hivos and Open Knowledge International. Open Forum- How can data journalists harness the power of the new media to promote transparency and accountability in Africa. In Bogota (Colombia), we developed a hackathon, called #AlimenData, focused on following and visualizing public money associated with School Feeding National Program of Colombia through a co-creation process where different actors were involved. #AlimenData was performed in conjunction with public sector and civil society. In this hackathon participated the National Secretary for Transparency, Ministry of Finance and Public Credit, Ministry of Communications and Information Technology, Open Contracting Partnership, and Open Knowledge Colombia. Thirty-six teams were registered, from which ten multi-disciplinary and high-motivated groups (composed of twenty-seven participants in total) were selected across the country in order to develop their ideas. These teams were composed of different actors (citizens, academia, social actors, local governments, etc.). iWatch Africa marked the Open Data Day event in Accra by officially issuing a call for participation with specific emphasis on student journalists. Our focus was to create awareness and train student journalists on the use of data journalism tools and new media to track government budget. 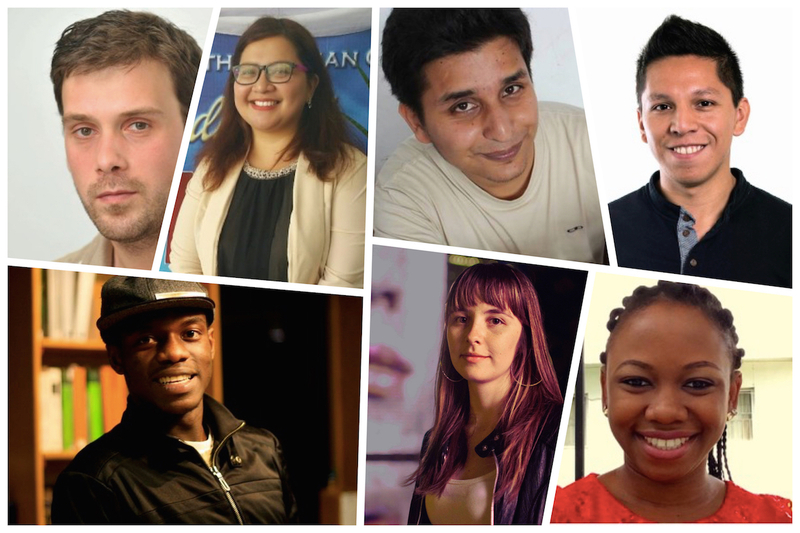 Fifty student journalists were selected across the country to mark the event in Ghana. Gideon Sarpong, iWatch Africa’s Director of Policy and Content Analysis who delivered a speech on the main theme emphasized the importance of open data in addressing the challenge of corruption in Africa. “Open data in governance is critical to addressing corruption in Ghana as well as developing effective policy reforms and an efficient public sector. It is in the interest of public institutions to join in the open data initiative and actively take steps to open up,” Mr. Sarpong stated. Resource person, Justice Kumordzi addressed the theme; Effective use of Data Journalism tools to effectively track government expenditure/budget in Ghana. Mr, Kumordzi focused on the vital role of data journalism in detecting bottlenecks, inefficiencies and/or corruption in the transfer of public goods and resources. He also noted that open data is a key tool for the government and civil society organizations (CSO) to guard against corruption and work towards ensuring a transparent, accountable and effective public financial management. Banini Kwasi Phillip, Communication Director of iWatch Africa also addressed the theme; The use of Data visualization to tell effective stories. Mr. Phillip demonstrated how various data visualisation tool and systems play an important role to enrich one’s story. His presentation focused on the different methods of data presentation emphasizing the text, graphic and tabular forms of presentations. After a practical session of his presentation, participants held on open forum on the theme; How can data journalists harness the power of the new media to promote transparency and accountability in Africa. Open Knowledge Colombia in conjunction with National Secretary for Transparency, Ministry of Finance and Public Credit, Ministry of Communications and Information Technologies, and Open Contracting Partnership prepared a complete agenda for the #AlimenData hackathon. In this scenario, we had the participation of different mentors, which talked about the School Feeding National Program, open data, data cleansing, software developing, visualization, and storytelling. These talks, which were complementary with hacking sessions, helped knowing more deeply our context (School Feeding National Program), the selected datasets, and various techniques and tools. Furthermore, our collaborators accompanied and advised to each group when during all the hackathon. Besides these talks, the participants of the hackathon had a chance to participate in a rehearsal session, where each group presented their preliminary proposals during 3 minutes. In this session different teams received feedback from mentors and organizers. Furthermore, different teams also received feedback from members of other teams, performing a collective co-creation process. This process allowed mutual enriching, since teams exchanged useful and multi-disciplinary viewpoints. The point of convergence between the two organisation’s methodology had to do with data visualisation as an important tool to tell effective stories. While #AlimenData hackathon focused on software developing, visualization, iWatch Africa also focused on practical sessions on three key forms of data visualisation, which include; text, graphic and tabular forms of presentations. An application for monitoring and reporting dietary and nutritional supplements. A platform for monitoring the delivery of food portions. A web platform for integrating different datasets related to School Feeding National Program of Colombia. A tool for visualizing characteristics associated with contracting process of this National Program. The organizers of this hackathon chose one project as winner. The selected one proposed an email service for communicating to parents the menu of each week using open data and blockchain technology. This proposal allows that parents can monitor and report the existing differences between the contracted menu in the context of School Feeding National Program of Colombia and the menu received for their children (students). The work on the projects that has been started during Open Data Day will continue, since we are working with different Governmental bodies in Colombia in order to develop some of these prototypes and to improve School Feeding National Program of Colombia. I joined the School of Data in April as one of the fellows for 2015. As a data scientist and software developer who had moved back to Accra in August 2014 — after 8 years of being away from school, — I wanted to understand the key stakeholders of the open data community and what role I could play in strengthening their work. I wanted to know what the State of Open Data in Ghana was. Taking a pulse of any community, especially at a national level is never simple and will be always filled with degrees of subjectivity. This coupled with a young global Open Data movement, introduces challenges in identifying the right stakeholders who themselves are still trying to understand whether and where they fit into this nascent ecosystem. In trying to assess the state of the Ghana open data community, I looked at 3 main areas: Policy, Research and Innovation, Capacity-Building. I will be sharing my thoughts around these 3 areas over a series of blog posts. With these, I hope to start a conversation around the Open Data movement in Ghana which leads to more collaboration and innovation. So for this first post, I will talk about the State of Open Data in Ghana from a policy perspective. Search for the term “Open Data Ghana” on any search platform and you will be presented with a list of links on initiatives and events — portals, conferences, hackathons, grants etc — dating back to 2010 and 2012. First among these is one for the Ghana Open Data Initiative (GODI), a platform created to release public data sets for easy access and use by ordinary citizens. The vision was to start off with a repository of government data from which journalists, developers, advocacy groups and citizens could access for numerous civic, social and economic benefits. With this came several hackathons and workshop by organisations to unleash the power of these data sets through capacity-building, research and innovation. GODI is a major endeavour and in its infancy, it will lack many data sets that ideally should be readily available to the public. In such cases, interested parties should have the ability to request the release of specific data from public institutions. This is where the Right to Information(RTI) Law comes to play. Other names for this are the Freedom to Information(FOI) law and Access to Information law. 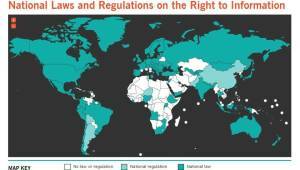 Efforts to pass a RTI law in Ghana has been ongoing for about 13 years. However, there is growing work by advocacy and media groups, parliament and ordinary citizens to ensure the passing of a law. After many years of consultation, Select Committee on Constitutional, Legal and Parliamentary “advanced an amended right to information bill for consideration by the full Parliament.” This means as of October 10 2015, Ghana has no RTI law! In order to strengthen the Ghana open data movement, it is important to have in place the RTI law as a tool for open data enthusiasts to request access to relevant data. There are many more advocacy groups and individuals who have contributed to advancing the RTI bill to this point not listed above. Their work continues to be essential and is worth supporting. If you know of any, please do share. What is the way forward with regards to policy? 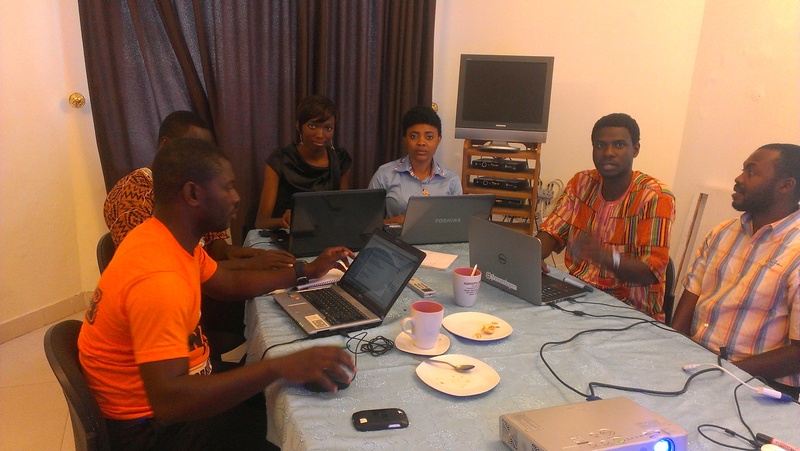 Ghana’s Open Data movement is young and this means there is a lot to learn, understand and implement to reach the standard of a world-class open data community. Ensuring that the right laws and mandates are in place and executed is key to creating the foundation for stakeholders to research, innovate and build capacity with open data. Taking the steps to implement GODI is a great start. However, GODI is still lagging behind. As of this writing, the data portal is still down from when I first noticed it at the end of August which does not help in building the reputation of the Ghana Open Data community. I hope the portal comes back online soon with an well-defined strategy to improve access to quality data sets and tools. With regards to the RTI bill, the great efforts by some of the advocacy groups listed above will eventually get this law passed. It is important that journalists and citizens remain invested on this issue in order to give it the necessary attention to be passed. In the next series, I will talk about the State of Open Data in Ghana from the research and innovation perspective. School of Data Fellows: What Are They Up To? Camila has run numerous training events, working with Abriendo Datos Costa Rica and with Costa Rican university students. She has also run two data expeditions and a workshop in Mexico City in the NGO Festival FITS – in total, Camila has trained 177 participants! Camila looks forward to engaging wider audiences of Costa Rican NGOs and journalists in data-literacy training during the remainder of her fellowship. In Macedonia, Goran has been making great progress on the Open Budgets project and work is underway with the Metamorphosis Foundation on upgrading their ‘Follow The Money’ website. He has also been busy finalising contracts with the winners of the Open Data Projects competition and facilitating their kick-off. Goran is also finalising his first skillshare on TimelineJS, which we look forward to! In Nepal, Nirab has responded to the devastation caused by April’s earthquake by supporting all manner of data-related support, working with a host of CSO’s, INGOs, government agents, technologists, journalists and researchers. He has a particular interest in post-disaster transport management and has trained 78 road engineers in OpenStreetMap, who are utilising this knowledge across 36 different districts of Nepal! In Ecuador, Julio has been busy preparing a workshop for Campus Party Ecuador 2015, a fantastic technology festival kicking off later this week. He has also been collaborating recently with Innovation Lab Quito on an exciting upcoming training event in October and also with SocialTIC and the Ecuadorian Journalist Forum on an event planned for November. Nkechi attended the Africa Open Data Conference (AODC) in Tanzania recently, where she did some fantastic networking at the School of Data booth. She also organised an Open Data Workshop for approximately 25 Tanzanian CSOs and journalists at the conference, comprising skill shares on data advocacy, finding and verifying data, the data pipeline, scraping and visualizing. Nkechi looks forward to consolidating her work in strengthening the Nigerian data-literacy community in the coming months of her fellowship. In the Phillipines, Sheena has worked extensively on data skills for effective disaster response, organising successful training events in Northern Mindanao and Leyte with a total of 77 participants. She recently participated in in the Forum on Open Government Data organized by the Knowledge for Development Center, which provided powerful insights regarding School of Data’s role in supporting the Open Data movement. Sheena is focused on extending her network of local NGOs and media actors in the coming months, as she makes progress to her goal of establishing a local School of Data instance. In Ghana, David has hosted several workshops, including a data scraping workshop with Code for Ghana, and another during the Africa Open Data Conference with fellow School of Data and Code for Africa colleagues. He has presented two online skillshares on Data Scraping and R programming which have received very positive feedback! David is currently organising the first H/H Accra meetup. He intends to focus on data journalism for the rest of his fellowship, in anticipation of the national elections that will happen in Ghana next year. Comments Off on School of Data Fellows: What Are They Up To? While going through finding data, it was interesting to know that Nigeria has more datasets available online than Ghana, as most of the participants couldn’t figure out where to find the budget data of the country, although some mentioned the ministry of finance, but surprisingly we couldn’t get budget data from this website. Nevertheless, the country national statistics online portal is a one – stop shop for datasets in the country, and only one of the participants knew this existed. Analyzing using Microsoft Excel, and Google Spreadsheets was an eye – opener for participants, as most of them requested to know how this can be applicable in their various works. While it was important to drive this conversation forward, outside the training sessions, the participants were already thinking about a 3 –day event that could bring together government, NGOs and other activist in the coming year. But, our trip to Accra would not have been complete without taking some time at the iSpace (it was a women in technology day, and we had ladies) and the LaBadi Beach – it is known that trainings can also be complemented with ice breakers on the beach – and same we did, and fortunately for us – it was the reggae night. “We would have like to have more days of training, as the little minutes I spent was quite educative, especially the use of analysis tools, thus making me to know how important data is to my various monitoring and evaluation work” said Mensah Ileom of Inspire Africa. Actually, I have seen more NGO participants looking towards how data gathering can also help them in monitoring and evaluation, aside using it for advocacy, and monitoring service delivery.